Having some tried and tested skill moves in your repetoire can be the difference between winning and losing in FIFA 19. And while knowing flashy, crowd-pleasing tricks certainly looks nice, there are some skills that are a lot more useful. To use the best skills in FIFA 19, you'll need 5-star skill players. You'll also need to know all of the skill moves available in the game, and how to use them. In this FIFA 19 Skill move guide we'll list every skill move in FIFA 19, alongside the skill rating you have to be to perform them. For more on FIFA 19, be sure to check out our FIFA 19 Guides Hub. It’s filled with useful info on FIFA 19, including essential tips, a look at the best players in FIFA 19, and more. There are 5 categories of skill moves in FIFA 19, ranging from 1-Star to 5-Star Moves. Each player in the game has a Skill rating, which gives an indication of the level of skill moves they can perform. Because of this, you’ll want to avoid using skill moves with the majority of defenders, and practically never with a goalie. There are some exceptions of course, but the very best skillful FIFA 19 players tend to be those that are able to charge up the pitch during offensive attacks. FIFA 19 is host to a pretty big group of 5-Star Skill players. 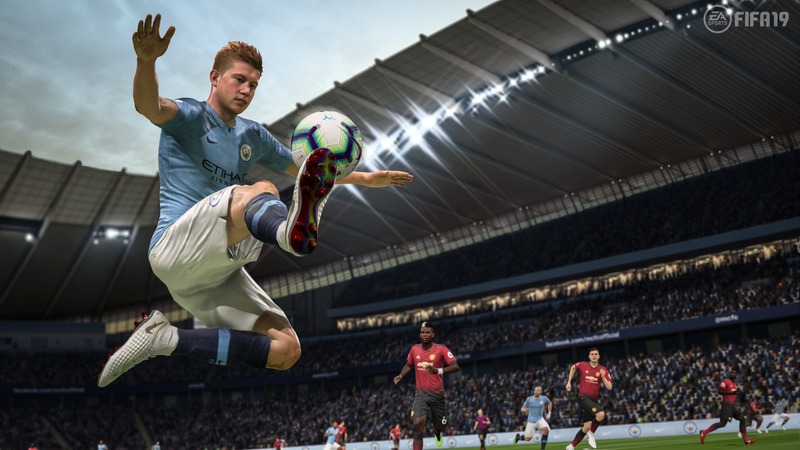 These skillful FIFA 19 players can perform every Skill Move in the game, and are pretty rare as a result. We’ve collected them all into the following list, so that you can focus on getting the best FIFA 19 5-Star Skill Players. These are the most basic Skill Moves in FIFA 19. They mostly consist of Fake-outs, and simple ball-control techniques. Next up we have the 2-star skill moves. This is where stepovers, ball rolls and Body Feints come into play. The 3-Star Skill Moves section is where things start to get really interesting. Heel Flicks and Fake then break moves are the real highlights, and are perfect for breaking through a defensive line. You’ll really want to learn the majority of the 4-Star Skill Moves as soon as you can, because they’re the ones with some real utility when playing matches. Lane Changes and Spins are all incredibly useful skills. With so many skill moves to choose from in FIFA 19, you might be wondering which ones are worth your time. We've listed the best FIFA 19 Skill Moves below, from simple flicks to flashy five star stunners. Ball Roll - just hold the Right Stick to the left or right relative to where the player is facing. Iniesta Dribble - Hold L1/RB then hold RS to the left or right relative to the player. Stop and Turn - Flick the RS to the back relative to the player then left or right.